When I embarked last year on my Favourite Aunties and Old Comrades Reunion Tour my main goal, as the name suggests, was to see my old aunties, three of whom were well into their 90s. 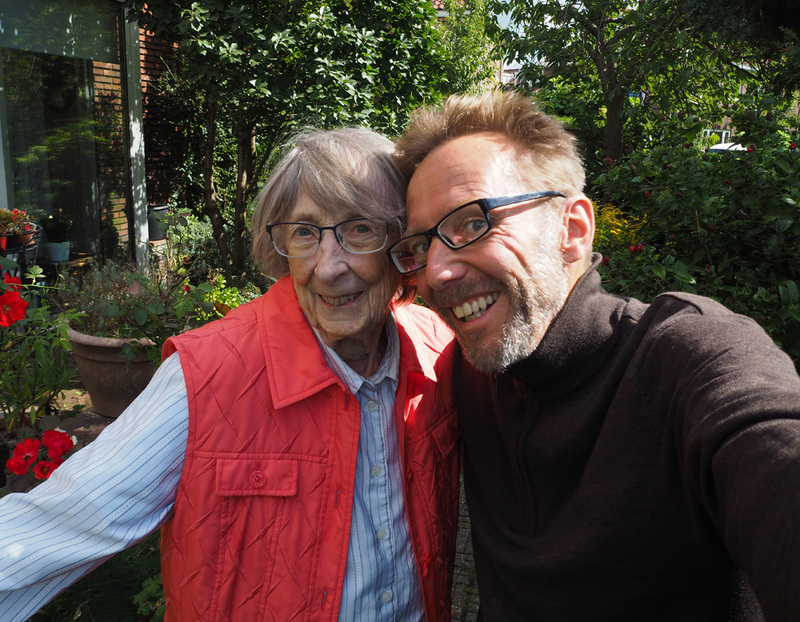 I was just in time because my most favourite auntie, Dorothea ('Do' for short), died suddenly on October 5, 2017, aged 95. May she rest in peace. When I said goodbye to you last September we pretended it wasn’t really goodbye. I said something about coming back to see you again in a couple of years, and you agreed, but we both knew it was the last time. Only I didn’t expect you to leave us quite so suddenly. I told you that you were my favourite aunt, because it was true, then I pedalled back to Ted and Angela’s house and the next day I began the long trip back to New Zealand. I remember how you gave me my first foothold in Holland, nearly 30 years ago, by inviting me to look after your house while you and Ries spent the winter in Spain. And when you came back you let me stay, and let me feel like that was fine and part of the plan all along, because I didn’t know what I wanted to do next. Over the years you and Ries, and later just you, were always there for me. Always ready with a cup of coffee, with a room to sleep in if I needed it, with your beautifully hand-written letters in exquisite Dutch, your advice, your compassion for others, your open-mindedness. You really were a woman ahead of your time. During my last visit you told me some of your stories about the war years, about how you and your sister José pushed bicycles across the country in mid-winter, risking your lives at German checkpoints, to find food for the rest of the family who were starving in Leiden. I marvelled at the strength you must have had, and while your body had weakened since then, that strength was still there in your voice, in the way you relived those events of more than 70 years ago. Lieve Do, my favourite auntie. This time it really is goodbye. *Lieve Dootje = Dear Little Do. 'Dootje' is the diminutive form of Do. *Tante = aunt. This form of address was strictly forbidden by Do, who found it far too stuffy and formal.